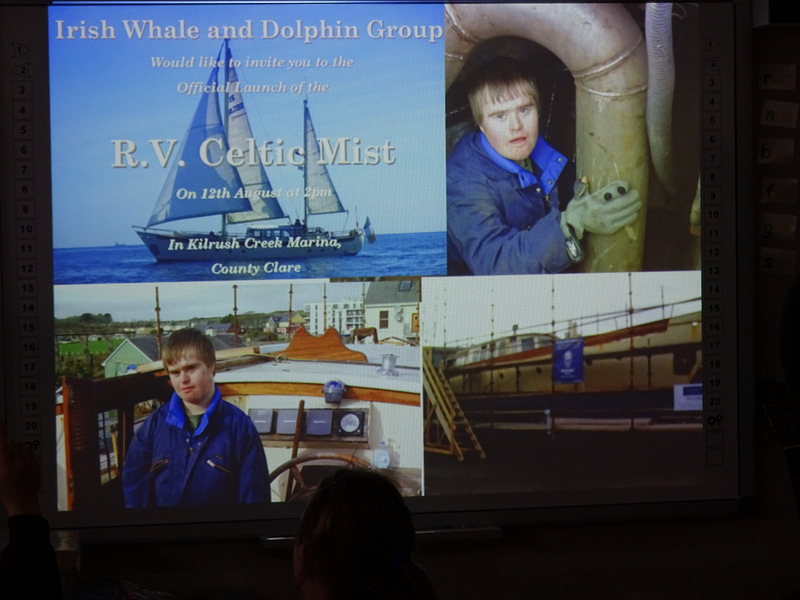 Science week began with a visit from Fionn & Jonathon Angus to present a talk on Irish Mammals in each classroom. 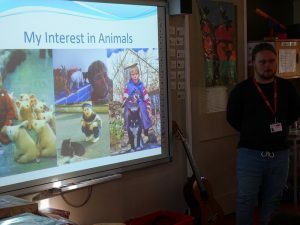 Fionn outlined his interest in animals from an early age and he had a great knowledge of all the Irish animals from foxes, bats, voles to pygmy shrews. They also shared their experience aboard the Celtic Mist which was on an expedition to tag & count Irish whales & dolphins. Both are keen musicians and entertained each class with different tunes on the guitar & fiddle. The highlight for pupils was the game of the fox and the geese played in the school hall. The geese tries to take a route to avoid the willy fox with the game gathering pace as the fox caught geese!